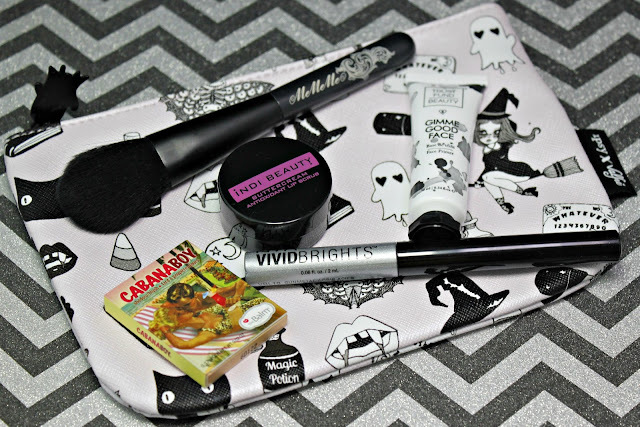 This month's Ipsy Glam Bag has a theme of Black Magic. I actually got a lot of nice products in this bag. Plus, the bag itself is super cute. It's perfect for my daughters Halloween makeup. First up, I have the NYX Vivid Brights in Vivid Gunmetal. This is definitely water resistant and very bright. I swatched it on my arm and it stayed in place for well over 24 hours. If you are looking for long-stay silver makeup, this should be in your shopping basket! The brush is super skinny and helps you apply in thin and thick lines. This is a metallic so you have to make sure, if you are trying to build color, that you use thin coats. If you use thick coats, it will end up streaky. Apply with care! 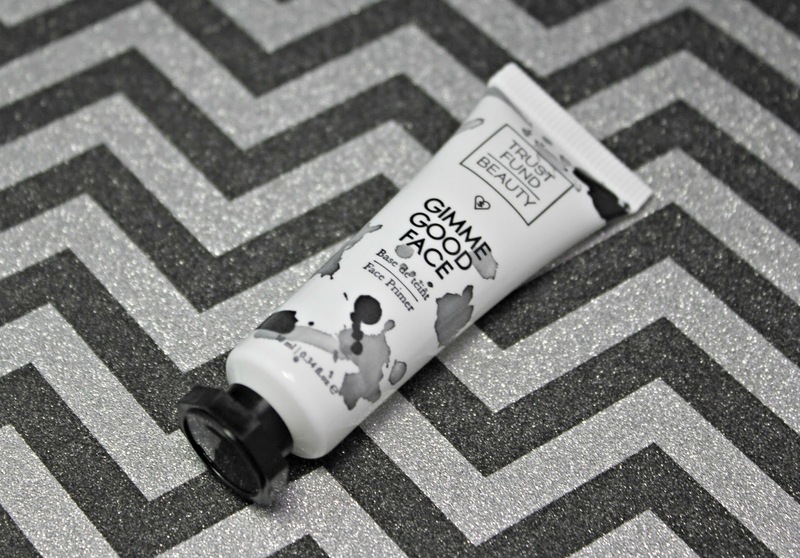 Gimmie Good Face Primer from Trust Fund Beauty is another great product I wouldn't mind getting every month! Like many primers, they tout to blur lines, diminish the appearance of wrinkles and leave your face feeling flawless. This also scented with eucalyptus. Vegan and cruelty- free too? Yes, please! 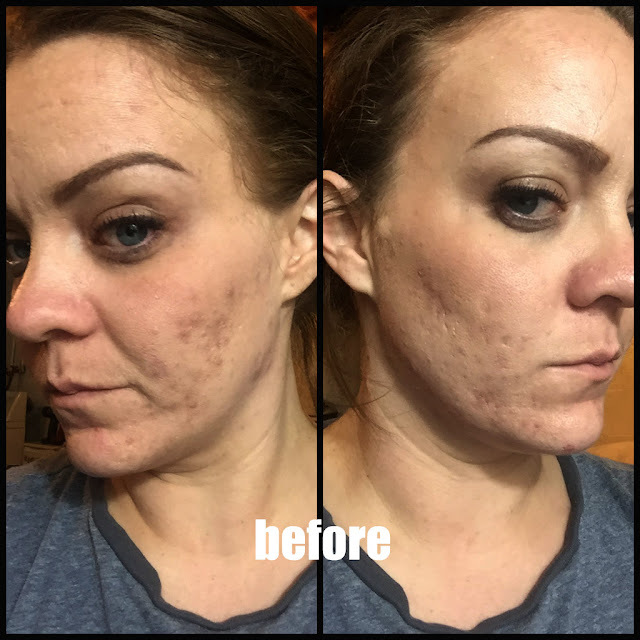 Using primer is super important because it helps your makeup to stay in place and if it's a good primer, it will reduce all your skin blemishes. MeMeMe Blush Brush was a pleasant addition to my bag. This brush is supposed to pick up just the right amount of product and have super soft bristles. I'm not so impressed with this. The handle feels cheap and hollow while the bristles feel thin and cheap. Another thing is that this is based in the UK. You all know how difficult it is to ship things from our British sisters. For $11, I should be confident in the brush I am using. To be honest, I will probably still use this but it will be in my gym bag not in the princess brush cup! 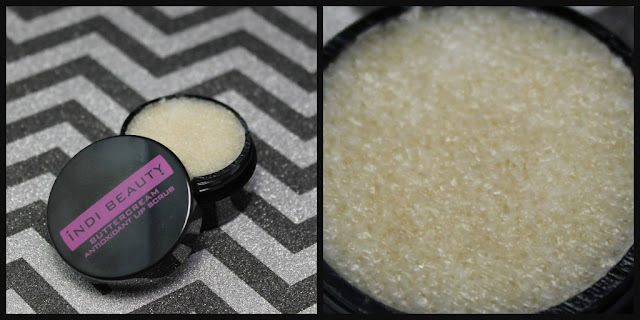 Indi Beauty Antioxidant Lip Scrub in the scent of buttercream is awesome! I am so glad Ipsy finally started get in with the skin care game. It's very rare that I get a skin care item, but a lip scrub?!? Never. Lip scrubs are very important to keeping your kissers feeling soft and looking even better. There are a lot of DIY scrub recipes, but why when you can get one from a great brand? The price? Well this is only $11.99 for 5 grams so I feel like that is worth all the back work you have to do in making one....at least for me it is. 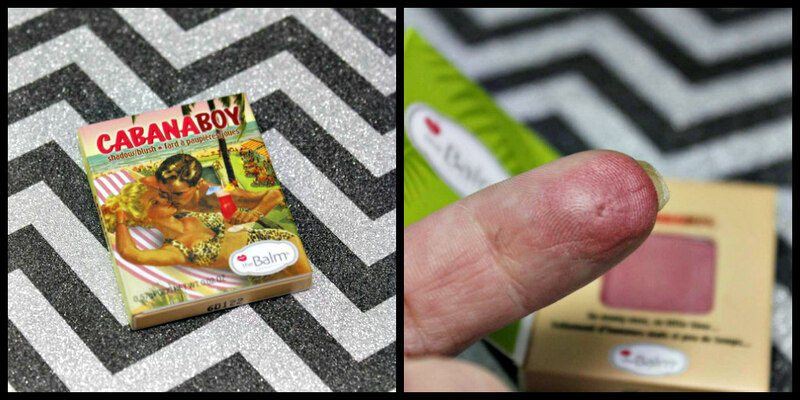 Last, I have the Balm Cabana Boy Shadow and Blush. I loooove this little booklet colors. This is a creamy, dusty rose with a slight shimmer. Loooooove this! I have a similar one in a color called Peach Bellini from another brand. I'm almost out, so I am pumped I got another of a similar color. I do have a couple of these little color booklets and they are perfect for travel! They are hard to break in this packaging and they are easy to store. 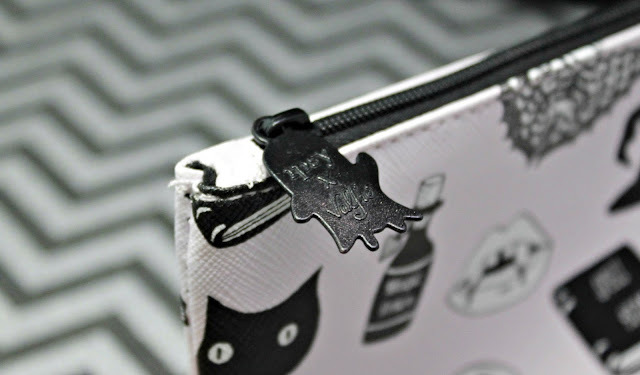 Just how cute is this little zipper? I love it! It just makes the cute theme of the bag. If you are not receiving this bag and want to, you can click here and get your very own bag.